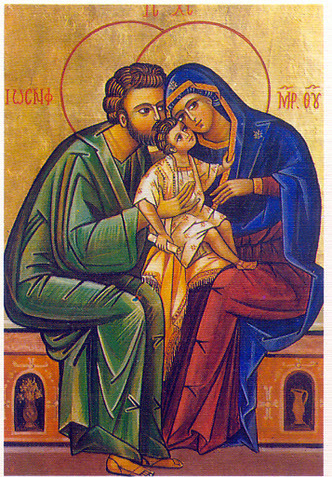 Today we celebrate the feast of the Holy Family - Jesus, Mary and Joseph. Today is to be a family day, and if ours is a happy family, we pray especially for all those families suffering grief over the loss of a loved one during this past year; for those families affected by alcohol or drugs; or blinding poverty or famine; for those families where there is division of any kind among its members, and we pray that the love which the Holy Family had for each other may begin to filter through to all those families,and shine in their lives. We pray also for those people who have no family, or whose family is far away - possibly refugees on different sides of the earth. And if ours is a family affected by any one of those or other troubles, we should pray for those who are worse off, because there will always be some who are worse off than us.